What is the best way to charge a large battery bank? We recently received a question from a fellow boater asking how to most effectively charge his boat’s large battery bank. This is one of the most popular requests we receive. As boaters add more and more comforts to their boats, the battery banks are increasing to accommodate the ever-growing power requirements. When sizing a charger, the general rule of thumb is that the charge rate should be at least 10 percent of the total amp hours of the battery bank. For instance, a 400-Ah battery bank would require a 40 A charger. Depending on the type of lead acid battery the top end of the charge rate can be higher. For instance, a sealed-valve regulated battery can take up to 40 percent of the battery capacity as a charging amperage. A flooded lead acid battery is a little less, at 25 percent of the battery capacity as a charging amperage. If you are running your generator for too long in order to recharge your batteries, there might be a solution to reduce your charge time. With large battery banks (800 Ah or more at 12 VDC), it is worth considering adding a second, or even third, charger. As circumstance would have it, many boats have large generators, commonly eight KW or more, that enable boaters to run air conditioners while away from the dock. Because we don’t use air conditioning very often, the generator remains largely under-utilized and is more than capable of running multiple large output chargers. Running a generator under proper load for a shorter period of time will also extend the life of your generator. Do you have to divide your battery bank? 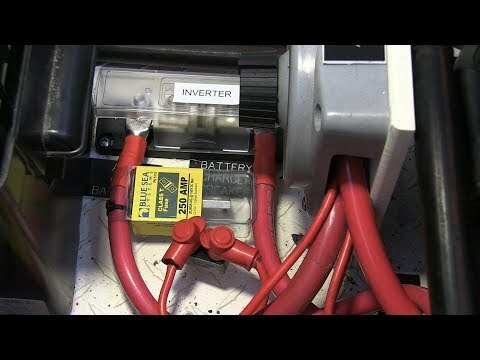 Boaters sometimes ask if they have to divide the battery bank to accommodate multiple chargers? The answer is no, there is no need to divide your house bank. You can keep the batteries as one large battery bank. However, all chargers must be smart chargers and temperature compensated to avoid thermal runaway. When charging batteries at higher rate of charge, there is always a risk of the battery overheating as it charges. This overheating snowballs as the battery temperature keeps rising and this can lead to a thermal runaway of the battery. When choosing a battery charger or charger/inverter make sure it is a three-stage smart charger, they are capable of determining the state of your batteries and adjusting the charger output automatically. Always ensure that it is manufactured for use in a marine environment. 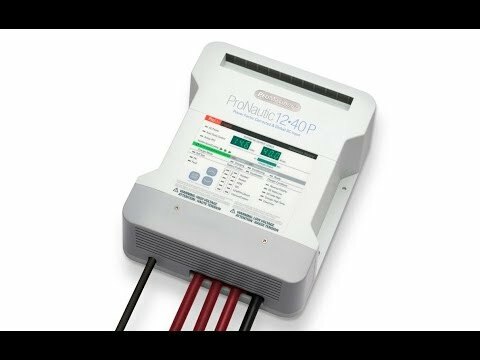 The most trusted brands of chargers we install are Mastervolt and Promariner. For Example. Now back to our original question. 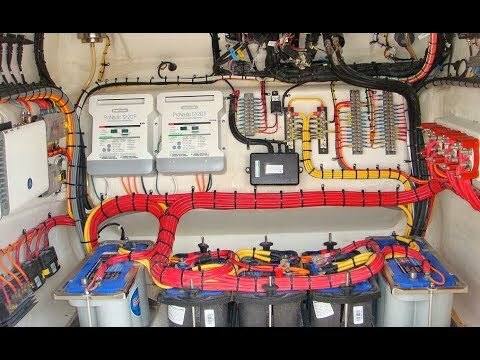 Our boater has a 60-foot Tollycraft with a house bank that consists of 12 flooded golf cart batteries, six pairs of golf-carts wired in series and each pair wired in parallel for a 12 VDC battery bank of 1,320 Ah. From our calculation above, this battery bank would require at a minimum a 132-amp charger. The owner is currently running a 60-amp charger, which is less than five percent of the charge rate over battery capacity. In this scenario, considering that the boater already has a 60-amp charger, we would recommend adding a 100-amp charger, this would meet the minimum charging criteria of 132 amps and still remain well within the upper limit of the maximum charge rate the batteries can take. The total charge rate would now be 160 amps, instead of 60 amps, providing more than a 2.5 times faster charge rate during the bulk charging phase. We have reached a point where battery banks are now larger than most readily available single output chargers. 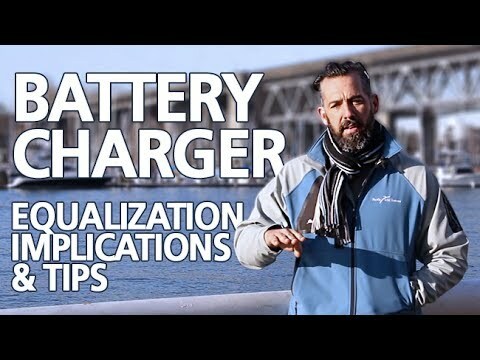 You must ensure that you have the correct charge rate in order to extend the life expectancy of your batteries. 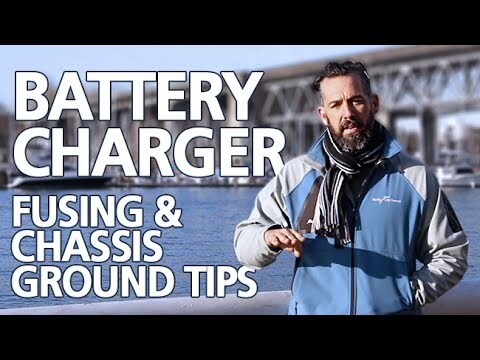 In most cases, the best way is to choose one large charger that provides the right charge rate. 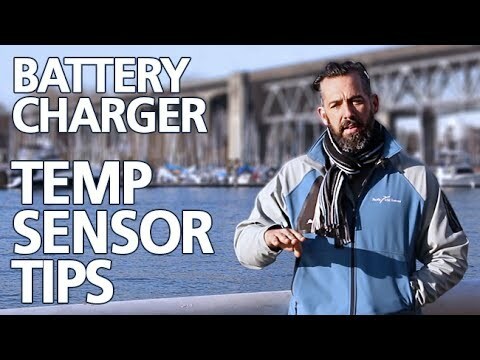 Once you need a charge rate higher than 100 amps at 12 VDC, you will need to add a second charger. This puts a bigger load on the generator, which is good, but even better it will reduce the generator run time dramatically, commonly by half or even more.